Are you a teacher leader or involved in a project that supports teacher leadership? If so, your input is very important to us. Please see Details Below for instructions to participate. A $30.00 Amazon gift card will be provided to the first 100 teacher leaders who complete all of the requirements. 1. "The Power of Invitation: Teacher Leaders as Agents of Change," Bill Zoellick, Molly Meserve Auclair, Sarah L. Kirn, Maine Policy Review, July 2018. 2. "Investing in Teachers’ Leadership Capacity: A Model from STEM Education," Susan R. McKay, Laura Millay, Erika Allison, Elizabeth Byerssmall, Michael C. Wittmann, Mickie Flores, Jim Fratini, Bob Kumpa, Cynthia Lambert, Eric A. Pandiscio, Michelle K. Smith, Maine Policy Review, July 2018. 3. "Teacher Leadership: Toward a New Conceptual Framework," Jill Harrison Berg, Bill Zoellick, Journal of Professional Capital and Community, December 2018. 1. "The Instructional Leadership Corps: Entrusting Professional Learning in the Hands of the Profession," Rachel A. Lotan, Dion Burns, Linda Darling-Hammond, Learning Policy Institute, February 2019. 2. "Leadership Matters: Teachers' Roles in School Decision Making and School Performance," Richard M. Ingersoll, Philip Sirinides, Patrick Dougherty, American Educator, Spring 2018. 3. "Aspiring to Lead: Physics Teacher Leaders Influencing Science Education Policy," Becky Bundy, Julie Dahl, Seth Guiñals-Kupperman, Katie Martino, Jeff Hengesbach, John Metzler, Trey Smith, Nichole Spencer, Amanda Whitehurst, Rebecca Vieyra, The Physics Teacher, March 2019. This week we feature two inspiring stories of Teacher Leadership from the new STEM Teacher Leadership Network website. Are you a teacher leader or involved in a project that supports teacher leadership? If so, your input is very important to us. You are invited to take part in a BETA test of a new website: STEM Teacher Leadership Network which you can access at: https://STEMTLnet.org This online learning community and network is being created to support and empower STEM teacher leaders and aspiring teacher leaders to effect change related to STEM teaching and learning. The site is a work in progress with a sampling or content in each section. Your participation will provide input as to what you already find of value on this site and how we can make it better. We hope to learn what you think of the design, the site sections and interactive features, and the sample content. We will use your input to make modifications, changes, and additions. We hope to provide a fully functioning, interactive, facilitated, website this Fall and look forward to your active participation. As a token of appreciation we will provide a $30.00 Amazon gift card to the first 100 teacher leaders who complete both of the following two steps. provide feedback by using the feedback buttons (visible on the bottom right corner of each section of the site) offering positive feedback and/or suggestions for improvements on 3 or more sections. Post to any one (or more) of the following: Post to the discussion Pathways to Teacher Leadership (in the theme of the month section), or post to a group discussion (in Group section) or post a resource, an opportunity, or event. Complete the survey at: https://www.surveymonkey.com/r/3MCHXCG and submit. We view this as a site that will be co-created by teacher leaders for teacher leaders. Your input is very important to this endeavor. Thank you in advance for your time and input. "Programs offered by universities and other entities outside the organizational boundaries of schools are an important source of ideas and support for educational improvement. Such organizations can focus on important needs-such as improving teaching of science-that schools perhaps cannot address on their own due to resource constraints. In such cases, teacher leaders can play key roles in bringing the knowledge and insights from external organizations into schools, sharing them with colleagues, and gaining administrative support. This kind of teacher leadership, responding to external initiatives rather than just to administrative priorities, is understudied, but programs in Maine that connect schools to universities and nonprofit organizations provide insight into the nature of such teacher leadership. We draw upon cases from two of these programs to offer suggestions to other organizations that might wish to develop programs for teacher leaders in support of educational improvement." "Teachers play a key role in the quality of education provided to students. The Maine Center for Research in STEM Education (RiSE Center) at the University of Maine has worked with partners to design, implement, and evaluate several programs in the past eight years to provide professional learning opportunities and support for Maine's STEM teachers, leading to significant impacts for teachers and students across the state. A strategic investment in developing teacher leadership capacity played a key role in expanding the initial partnership to include teachers and school districts across the state. With support from education researchers and staff at the RiSE Center, STEM teachers have taken on roles as leaders of professional learning opportunities for peers and as decision makers in a statewide professional community for improving STEM education. This article describes the structures that have fostered teacher leadership and how those structures emerged through partnership and collaboration, the ways in which teacher leadership has amplified the resources we have been able to provide to STEM teachers across the state, and the outcomes for Maine students." "This paper presents a framework that can provide a strong foundation for the development of a knowledge base on teacher leadership, which is needed to inform education leaders' efforts to maximize teachers' leadership influence as asset for improving teaching, learning and schools." "The Instructional Leadership Corps (ILC) is an innovative professional learning network in which teacher leaders in California collaborate and support their colleagues in developing teaching strategies and practices aligned with new content standards. Over more than 4 years, 100,000 teachers have participated in conferences and trainings, with overwhelmingly positive responses. This study describes how the ILC has changed the professional development landscape in four districts, offering lessons about how teacher-led learning can motivate shifts in practice, enhance teachers' professionalism and efficacy, and create supportive systems and strategic relationships that can sustain change." "Given the prominence of both instructional leadership and teacher leadership in the realms of school reform and policy, not surprisingly, both have also been the focus of extensive empirical research. But there have been limits to this research. It is, for example, unclear which of the many key elements of instructional leadership are more, or less, likely to be adopted in schools across the nation. Similarly, it is unclear which of these elements are more, or less, beneficial for school performance and for student learning and growth. Likewise, though the extent of teacher involvement in school decision making has been widely studied, there has been almost no solid empirical research on whether teacher leadership is beneficial for student learning and growth. These topics are the subject of a study the authors undertook, which this article summarizes." 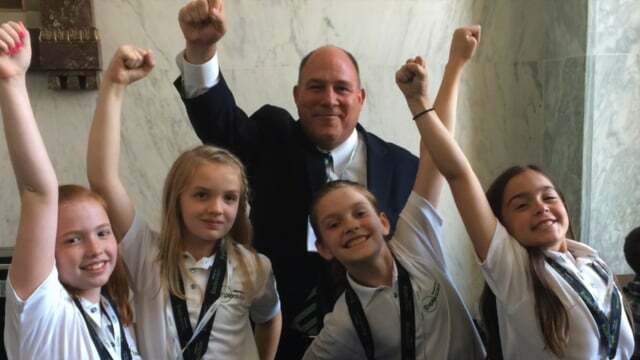 "Teachers are increasingly recognizing the need-and their power-to advocate on behalf of the teaching profession for the sake of their students and communities. National organizations like AAPT have a key role in amplifying teachers' voices. 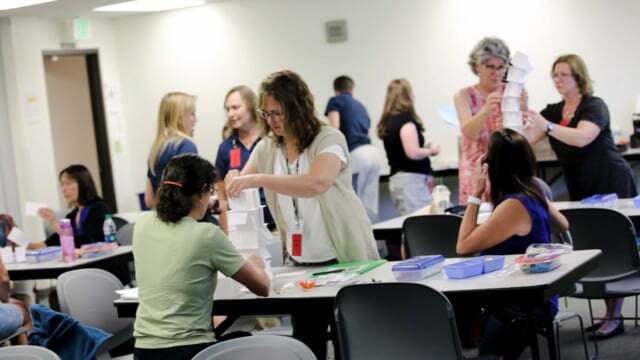 Building on the strategic vision for K-12 physics teacher professional development of the 'Aspiring to Lead' report, AAPT broke new ground by supporting teams of educators in addressing local- and state-level issues related to physics education." A proposal submitted to this program description should describe the integration of computing with one or more STEM disciplines. A proposal may focus on studies on the effects of integrating computational thinking with STEM disciplines or the challenges of implementing these potentially disruptive educational interventions. Proposed projects may develop models, assessments, and technological tools to support teaching and learning in this area as well as conduct research on these models, assessments, and tools. Outcomes of projects should enable the Nation to have a future workforce with knowledge of computational thinking integrated with STEM disciplines, and students prepared and interested in careers in the skilled technical work force or further education and science careers.